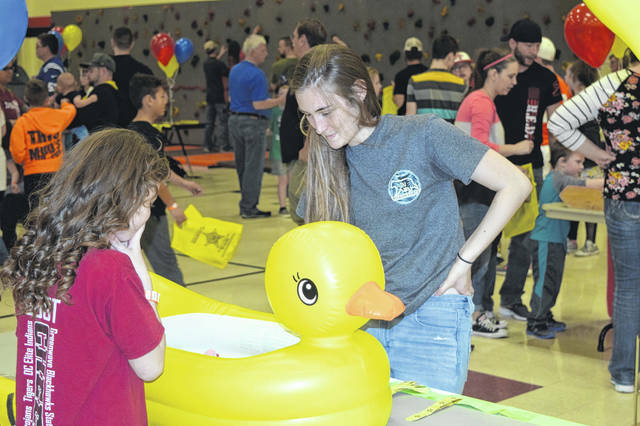 National Trail PTO and Renaissance Club held the annual NT Community Carnival on Saturday, April 6. The event brought community members together with local organizations to network with organically. Pictured, Preble County Sheriff Mike Simpson mans a station at the event. Another activity during the carnival was the climbing wall, which was enjoyed by many of the youngsters in attendance with help from National Trail Renaissance Club members. 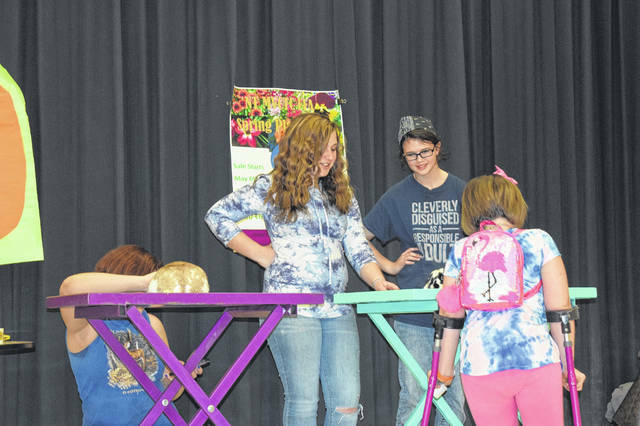 NEW PARIS —National Trail PTO and Renaissance Club held the annual NT Community Carnival on Saturday, April 6. The event brought community members together with local organizations to network organically. 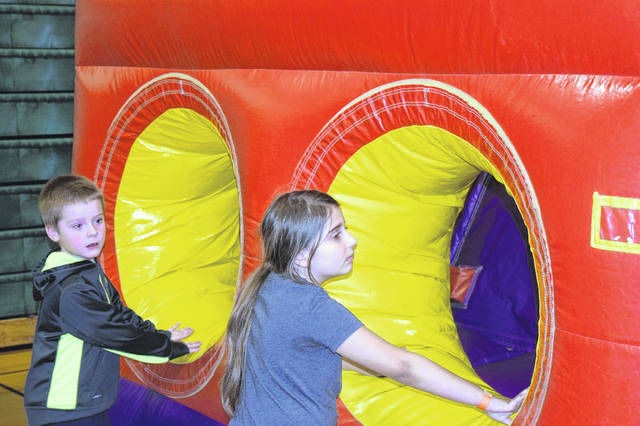 The event also brings fun to the community through games, bounce houses, and food. 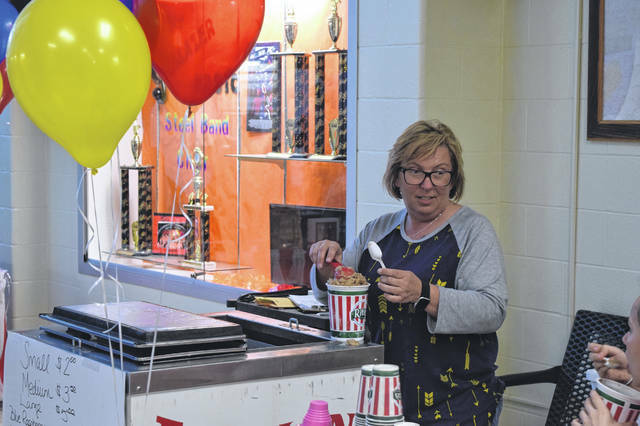 According to National Trail High School Administrative Assistant and Renaissance Coordinator Sindi Hoke, planning this event helped the Renaissance Club officers learn how to plan an event, while also creating mentors for the younger club members. The Renaissance Club is focused on changing the culture of school. 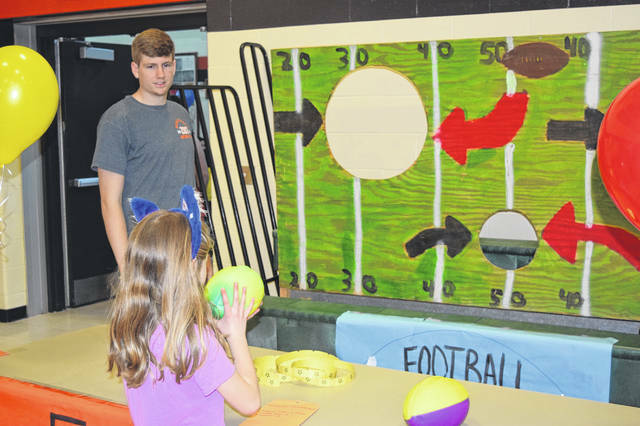 It does a lot of community service work and helps with various events in the school and throughout the community. 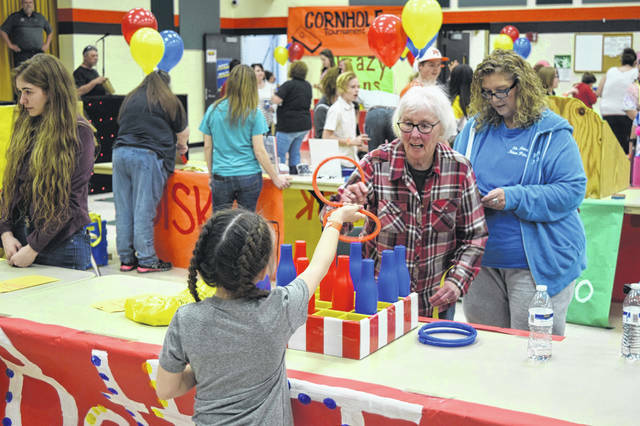 The Community Carnival is a way for the students to learn valuable skills and be a part of the community, according to Hoke. As for having local organizations present, Hoke says it is important, because these are services community members may need later. 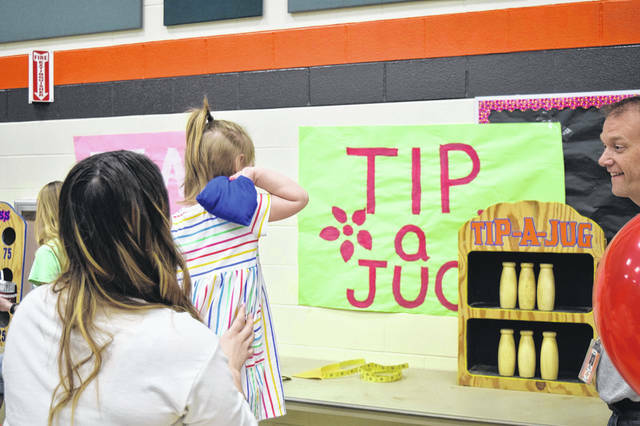 https://www.registerherald.com/wp-content/uploads/sites/41/2019/04/web1_Carnival2.jpgNational Trail PTO and Renaissance Club held the annual NT Community Carnival on Saturday, April 6. The event brought community members together with local organizations to network with organically. 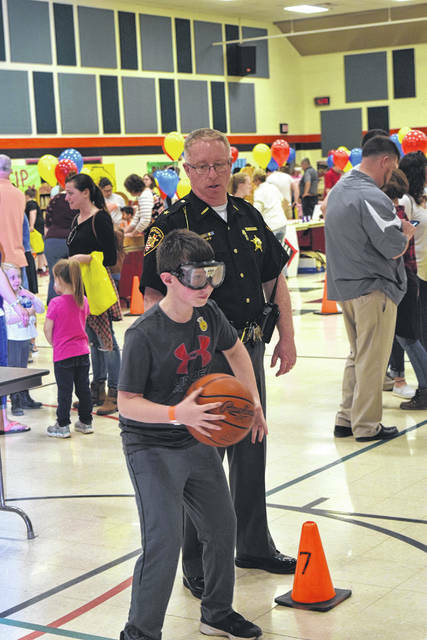 Pictured, Preble County Sheriff Mike Simpson mans a station at the event. 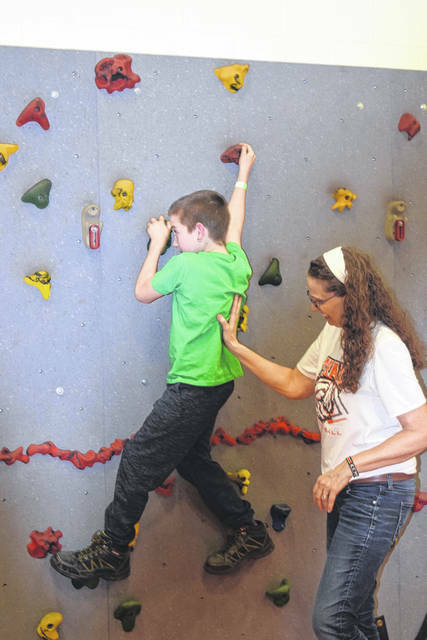 https://www.registerherald.com/wp-content/uploads/sites/41/2019/04/web1_Carnival5.jpgAnother activity during the carnival was the climbing wall, which was enjoyed by many of the youngsters in attendance with help from National Trail Renaissance Club members.